Sartore started their journey in 1930´s. As so many shoe brands, Sartore manufactured shoes exclusively for men at first. During successful decades their supply has widen to include women´s shoes as well. Even unisex line has been added lately. The masculine heritage is still strong in brands identity; like in this minimalistic oxford shoe. The square shaped toe and shiny soft material adds just right amount of contemporary style in to this otherwise classic shoe. 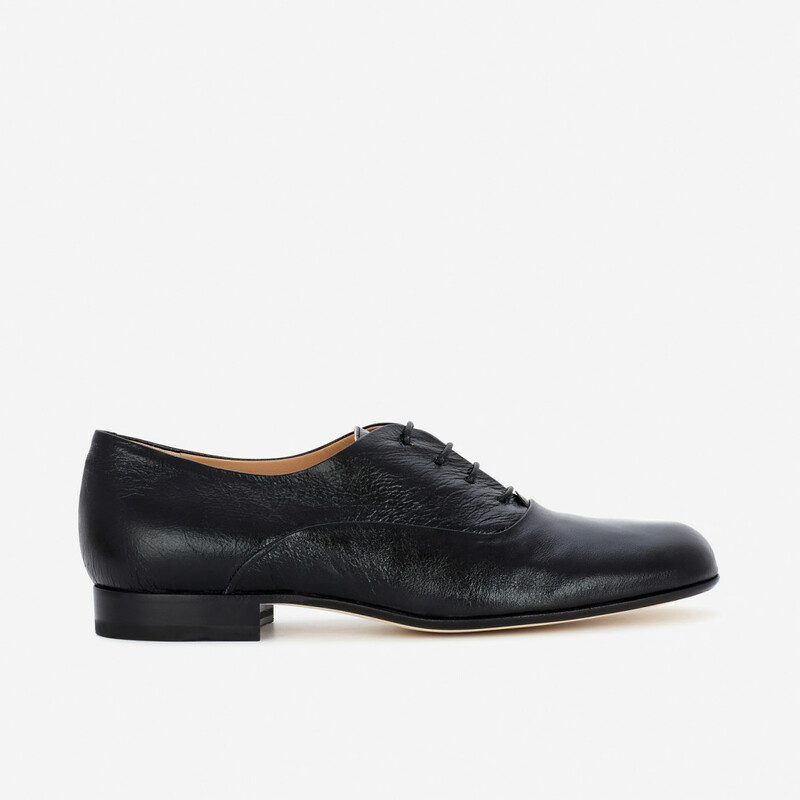 Thin leather sole creates slender silhouette. Rubber tab under back of the heel.. Read more.. The masculine heritage is still strong in brands identity; like in this minimalistic oxford shoe. The square shaped toe and shiny soft material adds just right amount of contemporary style in to this otherwise classic shoe. 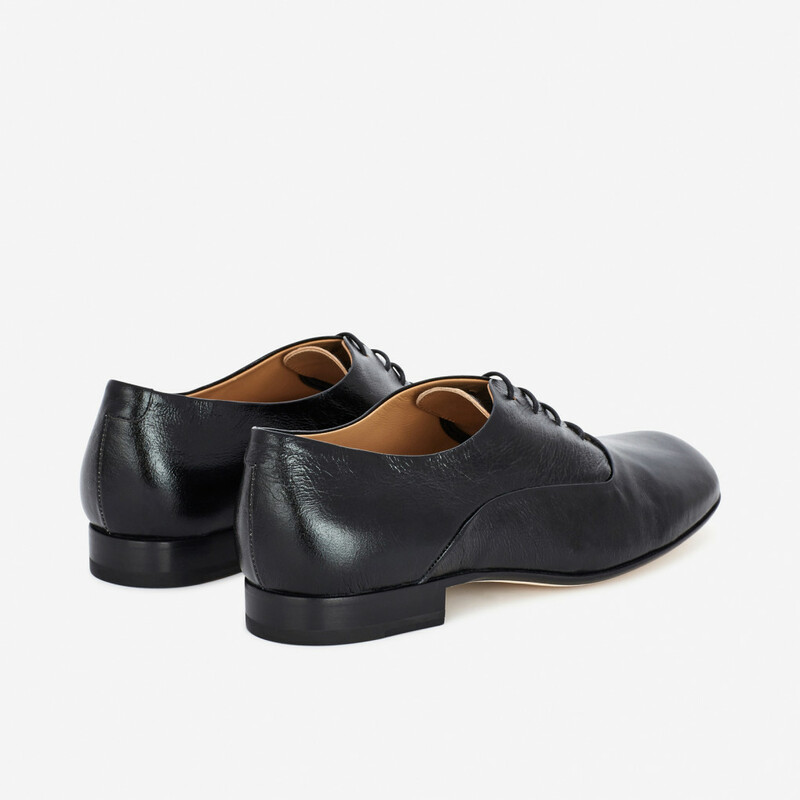 Thin leather sole creates slender silhouette. Rubber tab under back of the heel. Tonal lacing. 1 x Oxford Shoes Black was added to your shopping bag. 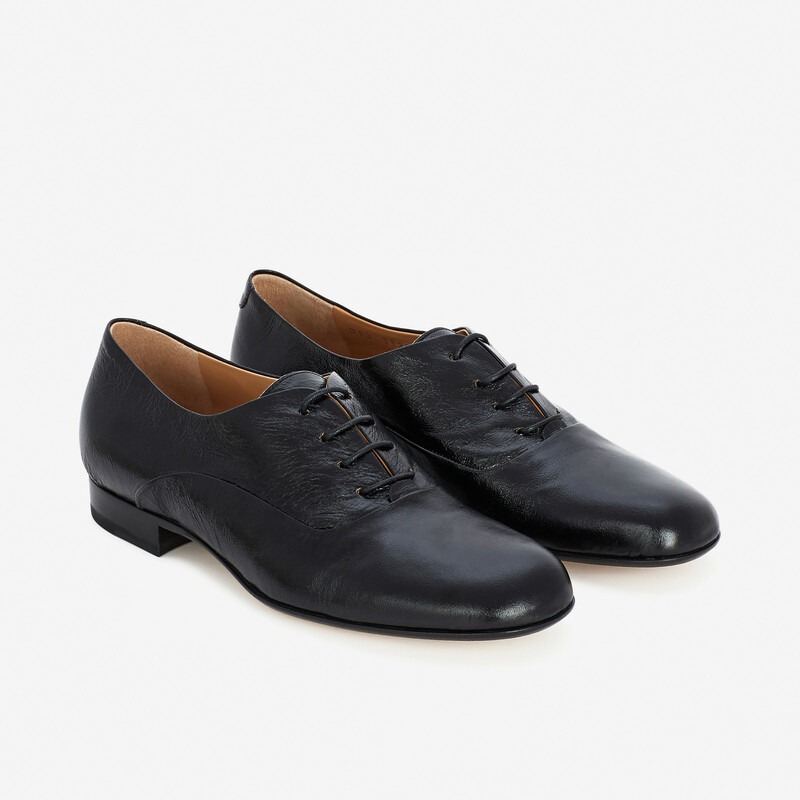 1 x Oxford Shoes Black was added to your wishlist.